The Italian authorities share the position of European Union countries and do not recognize the annexation of the Ukrainian peninsula by Russia. 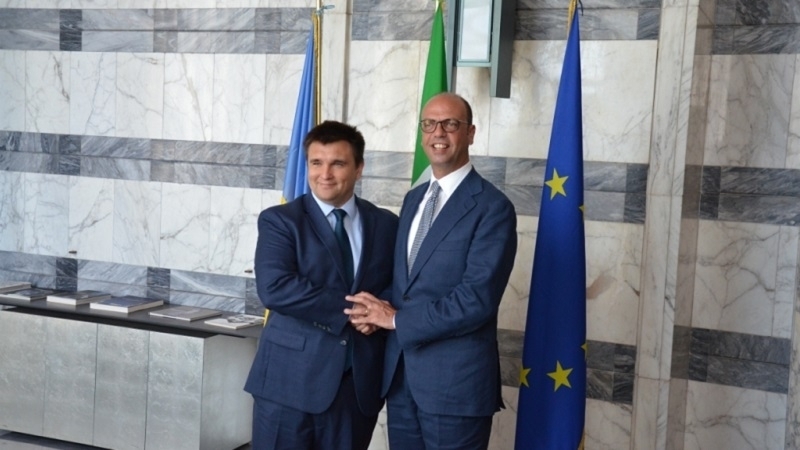 Italy will not recognize the illegal annexation of Crimea by Russia, Italian Foreign Minister Angelino Alfano said after his meeting with Ukrainian Foreign Minister Pavlo Klimkin. Italian authorities share the position of the European Union countries with regard to the occupied peninsula, according to Alfano. "Our position remains the same, we do not recognize this annexation in any form. This is a clear and precise position, shared within the European Union, the G-7 and any other format, "Alfano assured. The politician also noted that the Ukrainian issue would be a priority during future Italy vote in OSCE. Reference. Russia annexed the Crimea in 2014. International organizations, including the General Assembly of the United Nations and NATO, condemned the RF aggression and recognized the annexation of the Crimea as illegal. A number of sanctions were imposed against the Russian Federation.